The PS3 had its best holiday season ever, with Sony hoping that 3D technology will enable the same thing to happen again next year. In accordance with Sony's CES 2010 press conference, a press release was put out detailing the company's holiday success this year. 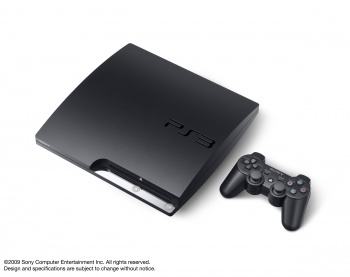 Sony was able to move 3.8 million PlayStation 3's worldwide from the last week of November through the end of 2009. This is a 76% increase over last year's holiday sales. The news is anything but surprising, as the PS3 finally is within a more affordable price range at $299. Priced the same as Microsoft's primary competition, the Xbox 360 Elite, the PS3 may shine above it in many people's minds as far as value for the money goes. The PS3 also benefits from not being one of the most defective consoles in history, which is one of the other reasons many consumers could be switching over from the 360. It's much easier to add a PS3 to your gaming library when it's cheaper than ever and games like Uncharted 2 are available. It doesn't appear that Microsoft has released any similar sales numbers quite yet, so there is nothing to compare to here. Either way, both consoles are carving out their own niches well enough. Along with Sony's announcement of strong sales came the official reveal that every PS3 will be capable of playing 3D games and Blu-ray movies through a future firmware update. 3D is going to be a strong focus for Sony, with the company investing in 3D television and gaming technologies across the board. While 3D gaming seems like a gimmick, IGN's CES impression of some early 3D games makes me feel like it could be something to look forward to. In the case of Super Stardust HD in 3D, the new technology seems to be exactly what you think it'd be, with asteroids hovering above the background and not really adding a whole lot to the game. In the case of Gran Turismo, the 3D display gives more of a perception of depth that looks to be relevant to actual gameplay, according to the impression. The only problem is, I'm not sure I ever want to wear any special glasses while playing videogames if I can't even stand them while watching short movie clips. If the cost of watching or playing in 3D is only a pair of special glasses and the flip of a switch, it could be worth the price of entry anyway. No release dates for the 3D enabling firmware have been announced yet.